Thank you so much for all your comments! I have obsessed some more over the photos and composition, downloading mo less than forty fonts and a few dozen cityscapes and curvy women in beautiful dresses. I pushed and tugged the rip this way and that, and I am now excrutiatingly close to being done with it. As per usual, I’m not so sure about the fonts, although I think the title font is now the best I’ve managed to find in three days of going nuts with 1001(literally!)freefonts.com. The author/series name on the first one is exactly the same as title, only not in capitals. The third one has much planer author/series fonts. As per usual, I’m not so sure about the fonts, although I think the title font is now the best I’ve managed to find in three days of going nuts with 1001(literally!)freefonts.com. The author/series name on the first one is exactly the same as title, only not in capitals. The third one has much planer author/series fonts. #ComedyBookWeek is coming – do you want to participate or help? Marketing funny is hard. If you are a humor writer, you will know exactly what I’m talking about. If you are a humor consumer – it may come as a surprise. Before I started trying to market my books, I naively assumed that funny should almost sell itself – after all, the biggest blockbusters are usually comedies, and isn’t it a natural for the word of mouth? When it comes to books, however, humor is a tiny category, dominated by autobiographies of famous comedians. In fact, most ebook marketing sites don’t even have a mailing list for it, so I’ve had to slot Shizzle, In into Action&Adventure or YA with mixed results. I was reminded once again of how few comedy writers are out there when I joined KBoards and saw the invitations for author cross-promotion. They were all either for fantasy, paranormal, or romance. Or the combination of the three. That makes sense, of course – those are the largest categories of ebooks on Amazon. I was sad for all of three minutes, and then I did what I tend to – take some initiative. So what is planned? At the moment, the main emphasis is on gathering numbers, and starting to promote #ComedyBookWeek as an event designed to help readers discover new Indie humor authors. All funny books are welcome, by the way – chick lit, satire, whatever, as long as it makes people laugh. The rough plan at the moment is that during the event week, participants will post blogs with links to participating books, post interviews, guest blogs, tweets, and whatever else they usually do with their social media platforms. The aim will be to generate buzz with the hashtag #ComedyBookWeek, to help people connect and find new funny reads. We also plan to approach book reviewers and maybe some outrageous ideas as well – suggestions are welcome! If you want to participate by submitting your book or by offering to host an interview or review, please let me know, or join us on KBoards! 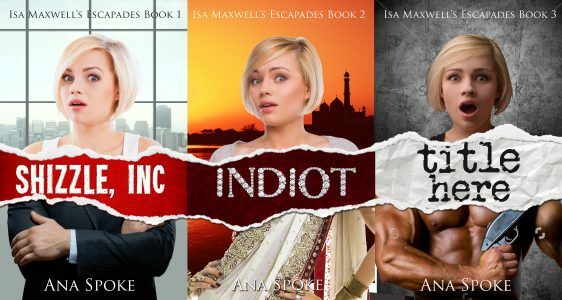 Please help me redesign the covers for Isa Maxwell series – including the third book! First of all, sorry for the Rafflecopter giveaway starting later than I expected – forgot that it’s in the US. If you’d like to go into a draw to win a $20 Amazon gift card, please enter here. Now, about the cover design – I’d like to thank everybody who’s helped me along the evolution of Shizzle, Inc Inc cover. I just had a look at the first mock-ups and some developmental milestones along the way, and I can’t believe how much the cover has changed. I did not have a clue at what I was doing, and thanks to you, I keep getting comments on Twitter that people have bought Shizzle, Inc based on just the cover alone. That’s a problem because my marketing strategy is now relying on pushing the free first book in the series, in hopes that people get hooked and buy the second, and the third when I get to write it. So this is what I’m thinking of doing instead, and by the way – meet the mock up for the third book in the series! I’ve decided to do a mock up of all three books at once, to see immediately how they will look next to each other. The new idea is to take the rip effect seamlessly across the entire series. In each book, Isa is on top, at the same scale, and at the bottom is the antagonist threatening to ruin her life. What do you think about these versions? Version A has different title fonts and backgrounds, and version B has the same fonts and background across all three covers. Series name font and size. Font for Shizzle, Inc – I will update the rip, and want to update the font, too. Thank you in advance for your help! To return the favor, I plan to stage another free cover design giveaway shortly, so please stay tuned! Follow me on BookBub for a chance to win a $20 Amazon gift certificate! Still, to get to my goal of 100,000 downloads by the end of the year, I will need to catch that elusive BookBub promo prize. It alone can potentially net me 20 thousand downloads for a very reasonable $70 (chicklit category is the smallest one). So instead of wallowing over another rejection, like I’d originally planned, I’ve made an action plan of how I can win over those stern BookBub editors. I find action plans in general soothing, but this one, in particular, is Aloe Vera for my burned ego. Enticing people to follow me on BookBub with Rafflecopter giveaways. Yes – more than one. I’m starting with a $20 certificate and will report on how many, if any, followers I will get. If it’s successful, I might try a $50 gift card next time. Revising my book covers to look like a series. This seems to be one of the factors people mention – professional-looking covers with great typography. I will be keeping my designs almost the same, but taking the “rip” effect across the series and getting a professional to help choose the typography. Re-editing Shizzle, Inc yet again. I’ve revised the blurb for Shizzle, Inc and the editor will check it as well. If anyone has any comments on the Shizzle, Inc blurb , I’d appreciate them! 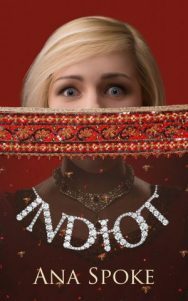 Already added Indiot to my BookBub profile. Already added a”follow me on BookBub” button to the right-hand side menu on this blog, using these directions and my own image widget directions. Added a “follow me on BookBub” link to my email signature. I don’t use it that much, but why not? Set it up once and never have to think about it again. My signature also has links to both of my books on Amazon now. Created this ClickToTweet link, which I can add to posts, author bio, etc. You can create your own on Click to Tweet website, free of charge. Will get even more reviews via the continuous free giveaway and using a NetGalley co-op. There. I can apply to BookBub again on 10 June, and you better believe it – there is a reminder in my calendar to do it once a month. I have a gut feeling about it. It could turn out to be gas, but once again – time will tell. Well, it’s done. The second book is complete, and is really a prequel to Book 1 Collision . That book traces the arc of runaway, Stella, and her father, Paul Lawson’s fractured relationship to their tentative reunion in Trial Bay. Their story hints at the many lies buried in the heart of their family history. 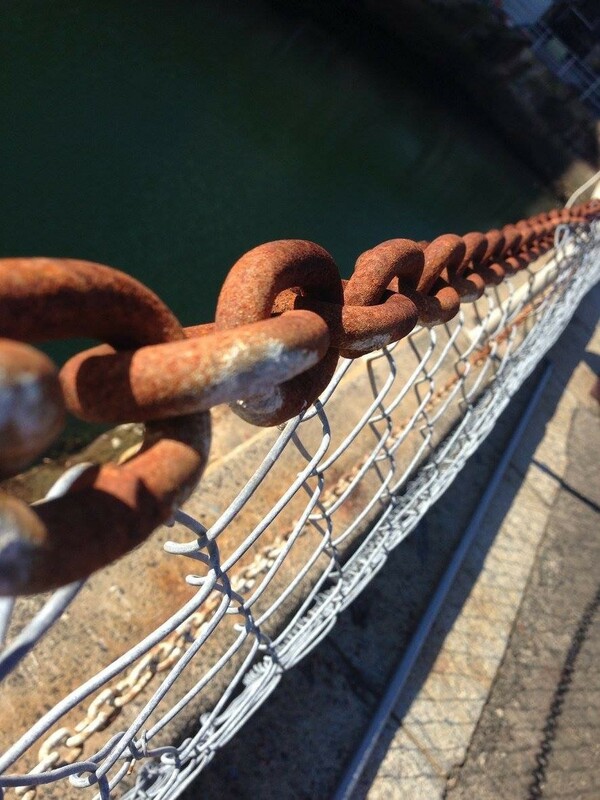 Now, Corrosion delves into these generational secrets and deception. In alternating chapters, it unravels the story of Stella’s father, Paul, and his mother, Mary. I’ve tried to make it fast-paced – a page-turner – and there’s quite of bit of action. 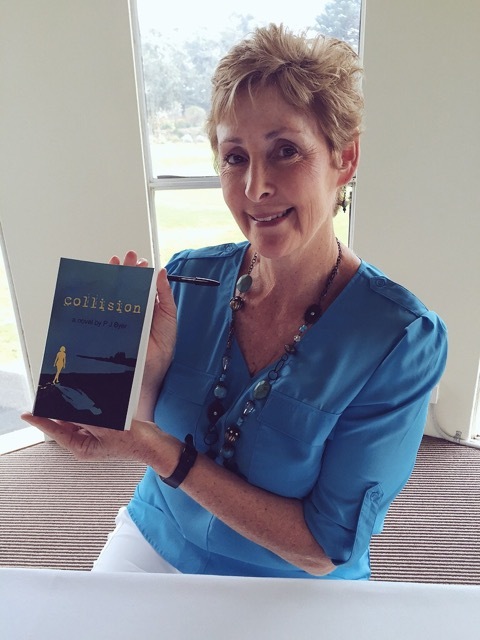 Swimming at Bondi beach, an unexpected surfing accident, an hysterically funny visit to Luna Park, a luxury Pacific cruise, an atmospheric visit to Trial Bay gaol, a hasty marriage, a dangerous assault, a tumultuous and romantic reunion, conflicts about choice of school…and there’s more! It’s all happening. Being a born and bred Sydney girl, it was great fun setting much of the story here, as well as the beautiful Trial Bay on the NSW mid-north coast. Our spectacular Sydney harbour with all the sea craft criss-crossing it, spanned by the Harbour Bridge, and the Opera House in the foreground…I’m biased, but it really is the most beautiful harbour in the world. And I’ve seen a few! This prequel covers fifty years, spanning 1958 to 2008, and the research was intriguing, trying to imagine myself in Sydney streets with trams sixty years ago, and bring them to life. Giving both mother and son alternating chapters, and vivid, authentic voices, was one of the biggest challenges with Corrosion. But this was essential because I wanted the reader to invest in, and understand, each character. Perhaps, they may not always like them, but there is a growing empathy. And while this story charts the disintegration of a parent/ child relationship, it also delves into passionate romances, as well as solid friendships. The driving force behind my writing is my fascination with how people tick. Aren’t we all intrigued by this? What causes people to make certain decisions and choices in life and relationships? Why do some relationships, be they parent/ child, partners, siblings, friends fragment over time, and others flourish? Some relationships stumble, and eventually refresh; others, after one obstacle or more, never recover. Paul has several positive connections – the warm attachment between him and his housekeeper, Beryl; his closeness to his unreliable, yet loving, father, Don; his budding romance with Sally; his friendship with his school mate, Ray. He is a teenager struggling to establish himself and make his needs and wants heard with his mother and father…and not always succeeding. Despite her best intentions, Mary can’t escape the rejection of her childhood and disappointments as an adult. I find it interesting how some people can move beyond their past hurts – but Mary cannot. And these difficulties tarnish her life. Rust, like the metal objects crumbling in the weather in the photo above, dissolving over time, is a key motif in the story to underline the pain of deteriorating relationships. However, I have tried to balance this with many loving and sustained relationships as well. 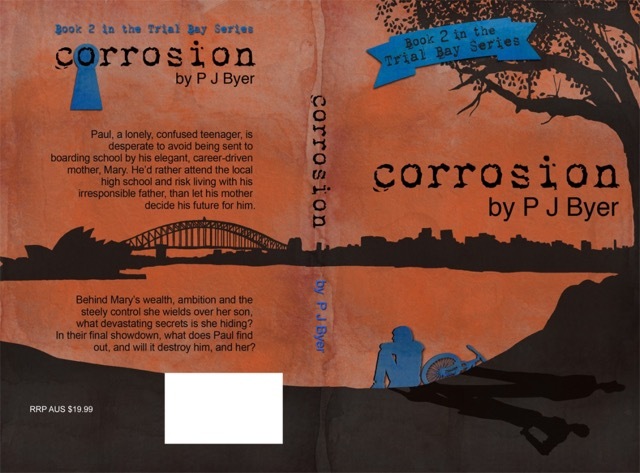 There’s much to savour and enjoy in Corrosion. It’s a thought-provoking book about family relationships in particular, set in a time in Sydney already long past. Check it out on Amazon. Nothing better than waking up to a good review…thank you so much, Drew! First things first, I’m not sure I would have chosen to read this if it wasn’t written by someone I follow on Twitter. Having said that, I did enjoy it. The book is billed as the first in the Isa Maxwell Escapades series. To me, escapades is probably the best way of describing the events of the novel. Isa seems to stumble from one poorly thought out plan to the next in her quest to become famous and win back her shallow ex-boyfriend. Can’t afford $399 for NetGalley? How does $50 sound? By now I’m sure you’re familiar with my Most Super-Duper, Exhaustive, Comprehensive, and Current Listing of Free and Paid Book Advertising Websites and Ideas, and if you’re not – have a look. It’s not only a list of promo websites that I’ve been compiling for many months but also a diary of my experiences with some of them. If you’ve seen it, perhaps you’ve noticed the listing for NetGalley and my lamenting about its price – or maybe you’ve heard of it through other channels. It’s a free service for any blogger, reviewer or librarian to request titles for review before they’re published. It’s the authors and publishers that have to pay. A lot. $399 just to list one book – you can understand why I’d never tried it before. It’s an industry standard and a great service – this is how you could get those early reviews for your book, to give it an extra oomph on launch day. So imagine my delight when I came across a mention of “NetGalley co-op” on KBoards. I looked into it, and guess what – it’s an independent press with a subscription to NetGalley, who are willing to sublet listings for as little as $50 a month! Author after author on KBoards are singing its praises and I’m going to list both Shizzle, Inc and Indiot with them, for 1 month and 3 months, respectively, starting in July. I will be posting a review and a comparison of results for 1 month vs 3 months in October, but I just could not keep this secret to myself. No, it’s not a kiteboarding forum. Maybe that’s why it took me until now to join – even though I’ve seen references to it throughout my 2.5 years of blogging. Or maybe because it looks so huge and intimidating on the first glance…see for yourself. More visits to your blog – after a week and 45 comments so far (told you, I went overboard), stats show 72 referrals from KBoards alone during the same time. There have been new followers as a result. I feel incredibly motivated after coming across a post which asked full-time writers about the consistency of their income. Before, I was only aware of a few multi-millionaires that “made it” and a huge army of “shrimp” like me that are swimming around, picking up a few sales here and there. Turns out there’s also a “middle class” of writers that have substantial portfolios. Those writers, with 12-16 books to their name are making 100-500 THOUSAND a year. So what if it takes me five years to get there – the main point is that it seems possible with a goal, focus, and hard work. I have found a second editor, a young woman with incredible feedback by the members. I contacted her about editing Shizzle, Inc (yes, a fourth round, by a fourth editor!) and she offered me a crazy deal of $376 for the whole thing, because it’s already clean, and because I was willing to work with her schedule. This means a second edition of Shizzle, Inc will come out at the same time as Indiot goes live. It will be the same story, but with tighter and cleaner prose, and hopefully not a single Australianism. I have found a very cheap and seemingly good designer. Yes, I am going to try a third designer, hopefully in a collaborative fashion this time. I really like my designs and I have good feedback on them, but I don’t like my topography and even worse – I don’t know what to do about it. 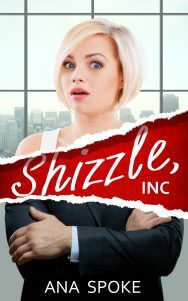 Plus, I have now accepted that my current cover for Indiot does not let people know it’s a sequel to Shizzle, Inc and that needs to change. I am now thinking of taking the paper rip concept across all the books in Isa Maxwell series, since in each installment her life is turned upside down by the antagonist – so on the cover, the rip will be between her and the antagonist. More on this in a couple of weeks. I’ve downloaded Scrivner! Then I cried, because at the first glance it (and the user guide) seems so complicated. But now I’m excited again! I feel like I’ve graduated into the class of professional writers, and the third book’s skeleton is already underway. I will definitely post my impressions after a few weeks, but so far I’m very hopeful – Scrivner will replace the first phase of the project, where I ruin walls with sticky notes. I’ve learned a lot about book launches. 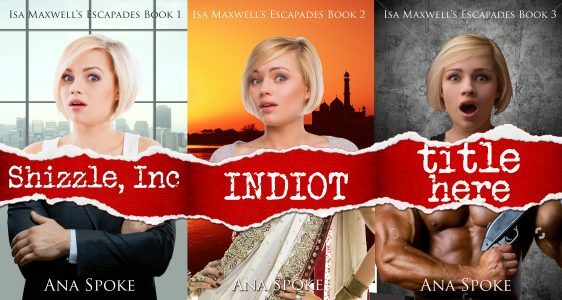 Decided to lower the pre-order price for Indiot (Isabella Maxwell’s Escapades Book 2) to $0.99, because that’s what everyone on KBoards seems to be doing. It will stay that way throughout the first week of launch, going back to $2.99 (or $3.99, not sure yet) around 23 July. I got just one preorder during the last three weeks, so let’s see what happens with this low offer. It’s fun! New topics get posted every few minutes, and you just never know what new bit you will learn next. That’s a lot in just one week, isn’t it? To tell you the truth, I’ve felt intimidated at times, because there are so many pros on there, but you get used to the signatures containing a string of covers after a while. Everyone is really nice, and a few people are even funny, which is a huge bonus in my book. So go check it out – but do come back! This here blog ain’t no KBoards, but it is a place where you can watch a dark horse race for gold in real time.